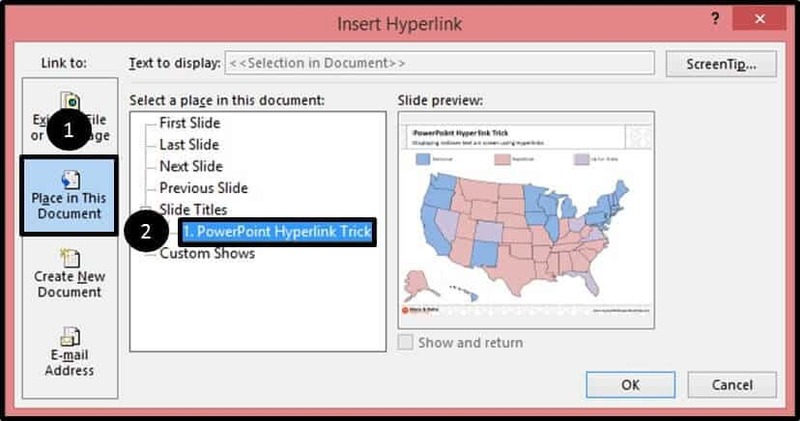 The secret to creating the mouseover text effect in PowerPoint is with hyperlinks. This effect is also called the popup text effect, mouse hover effect, image popup effect, etc. Regardless of what you call it, the effect is the same, and it's the ScreenTip functionality of hyperlinks that allows you to do this as you can see in the picture below. 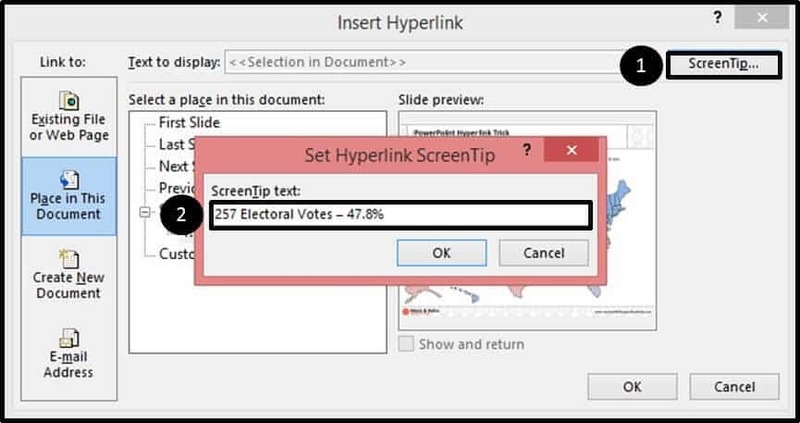 And while you can use hyperlinks to make your presentations more interactive, it’s often this ScreenTip functionality of hyperlinks that are most useful. 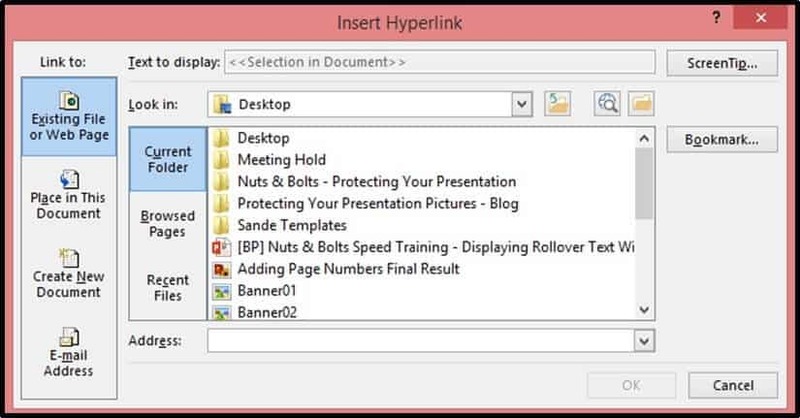 To learn everything you need to know about hyperlinking in PowerPoint, see How to hyperlink in PowerPoint. 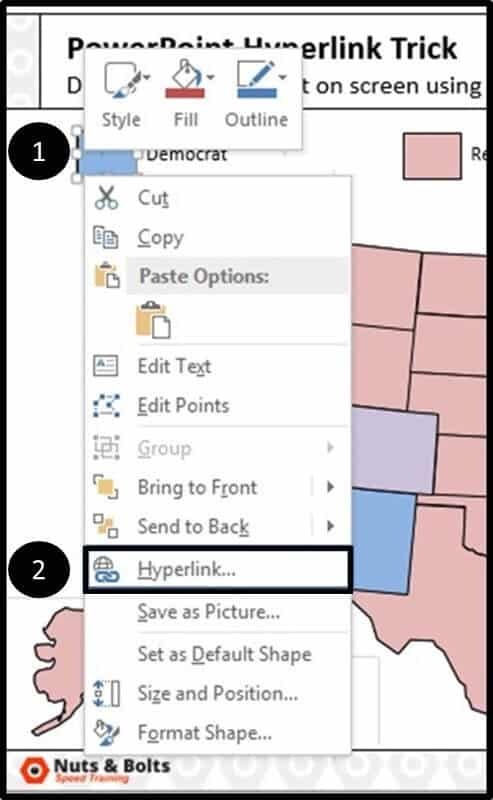 Way #1: Right-click the object, and in the right-click menu select “Hyperlink” to open the Insert Hyperlink dialog box. If you plan on inserting a lot of hyperlinks, we recommend memorizing the hyperlink keyboard shortcut (Ctrl + K). Ctrl+K immediately adds a hyperlink to your selected object and opens the insert hyperlink dialog box. Within the dialog box open, you can hit ALT+P to open the ScreenTip functionality, which as you’ll see in step #3 below, is where you input the text you want to pop-up in your slides. For more time saving shortcuts, check out our article on the 120+ PowerPoint keyboard shortcuts and how to use them. ​Within the Insert Hyperlink dialog box, navigate to the ‘Place In This Document’ section on the left, and then on the right, select the slide that you are creating the hyperlink on. This ensures that if you accidentally activate the hyperlink in Slideshow Mode (by clicking on it) you remain on the same slide within your presentation. In the upper right-hand corner of the dialog box, select the Screen Tip button to launch the Set Hyperlink Screen Tip dialog box. Within the dialog box, type the text you wish to be displayed when you bring your mouse over your object in the Slideshow Mode of your presentation. In this case I’ve typed the number of electoral votes. 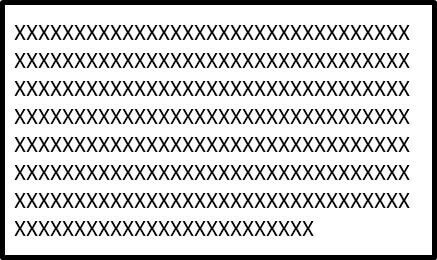 It's important to note that your mouseover ScreenTips are limited to 256 characters (including spaces) as you can see in the diagram below. 256 characters equates to approximately 48 words…so choose your mouseover text wisely. Note: There is no spell check functionality within the Set Hyperlink ScreenTip dialog box, so double check your spelling before closing this dialog box. Once you have your ScreenTip text ready to go, click OK to close out of the hyperlink dialog boxes and return to your slide. Once you have your ScreenTip text ready to go, click OK to close out of the hyperlink dialog boxes and return to your slide. Now in the Normal View of your presentation, to display your mouse over text, hit SHIFT + F5 to launch your Slideshow Mode from your current slide (see video below for other slide show shortcuts). In slide show mode, hover your mouse cursor over the object with the hyperlink, and the Screen Tip should appear and display your text. Notice that as we set the hyperlink to navigate to this specific slide, even if you accidentally click the object, you remain here on this same slide within your presentation. Want to see what else you can do with this trick and this vector map of the united states? 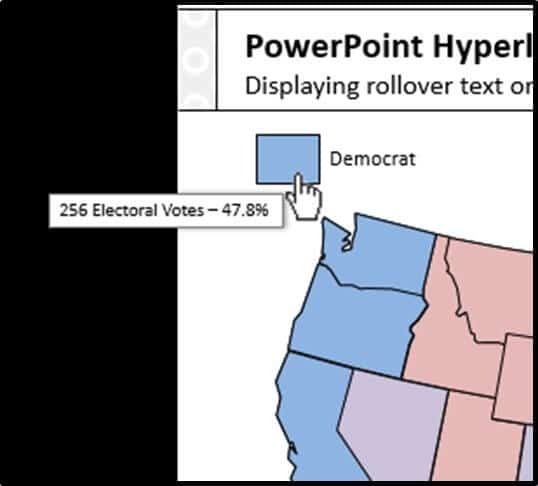 See how to create an interactive map of the United States in PowerPoint here. 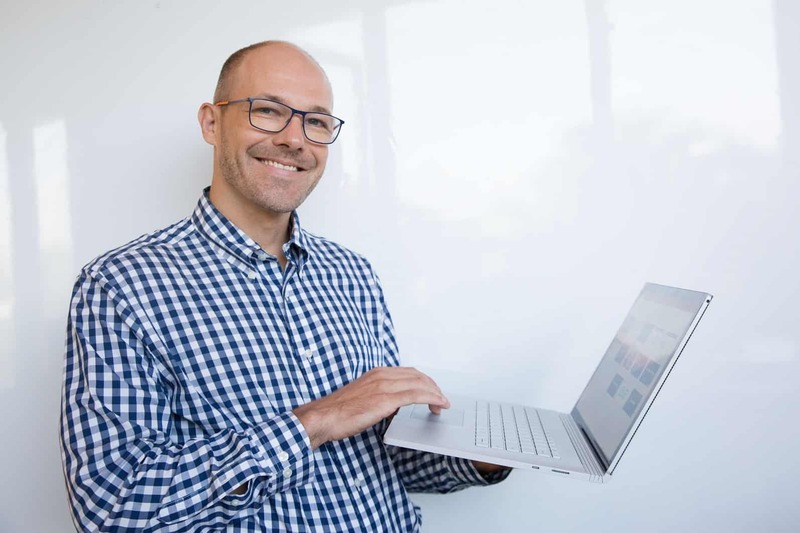 It's also important to note, if you convert your PowerPoint presentation to a PDF file, you will lose your ScreenTips in the conversion process. 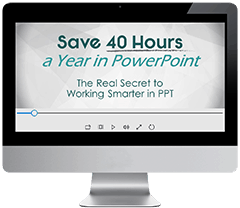 To learn more about which PowerPoint features you will lose when you convert to the PDF file format, see How to convert PowerPoint to PDF.